"Ray Caspio [is]...a transcendent actor. Complete confidence colored with impeccable performance brilliance. His monologue towards the end of the play is a gift." Land of Cleve interviewed me and reviewed the "impressive,immersive, intense" CODE: PRELUDES. There are only four more chances to catch this Theater Ninjas production at 78th Street Studios! Thursday, Friday, and Saturday at 7:30. 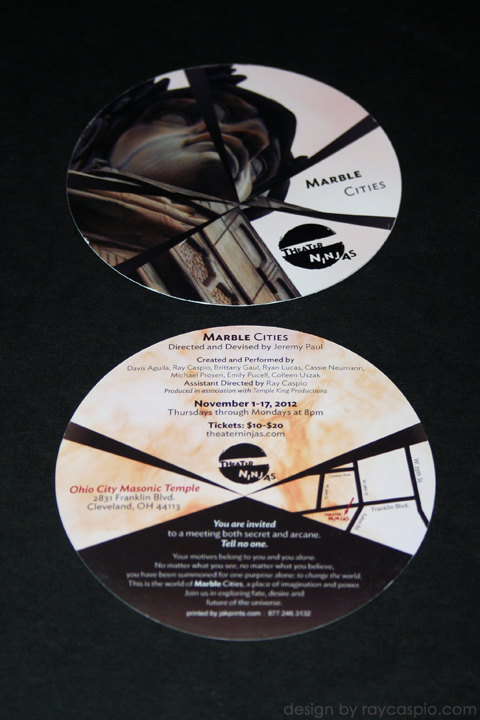 Marble Cities from Theater Ninjas on Vimeo. Produced in association with Temple King Productions. 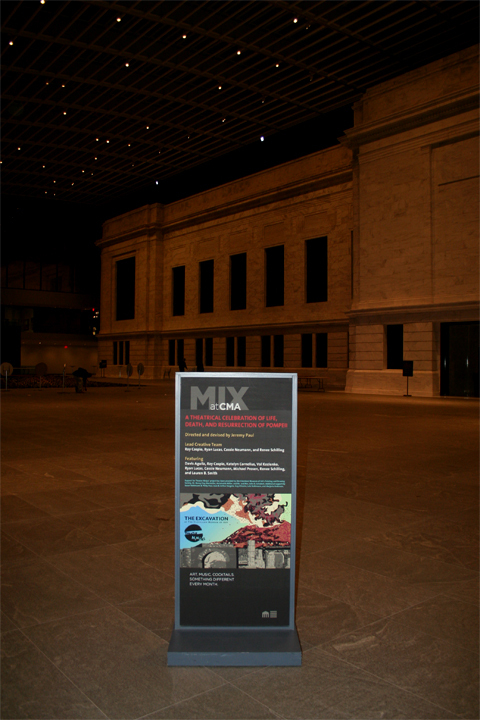 CLEVELAND (September 21, 2012) – This November, Theater Ninjas invites Cleveland audiences to explore the world of Marble Cities, an original new performance by the acclaimed theater group. Artistic Director Jeremy Paul brings together an ensemble of local artists to explore fate, desire and future of the universe. Taking its name from an Augustus Caesar quote (“I found Rome a city of bricks and left it a city of marble.”), the performance is about power; how people obtain it, use it and keep it. Marble Cities is an original, devised show created by an artistic ensemble of Theater Ninjas veterans and some dynamic new faces: Davis Aguila, Ray Caspio, Brittany Gaul, Ryan Lucas, Cassie Neumann, Michael Prosen, Emily Pucell and Colleen Uszak. Designers include Benjamin Gantose (lighting), Kevenn T. Smith (costumes), Val Kozlenko (set) and installation design by Joan Hargate. 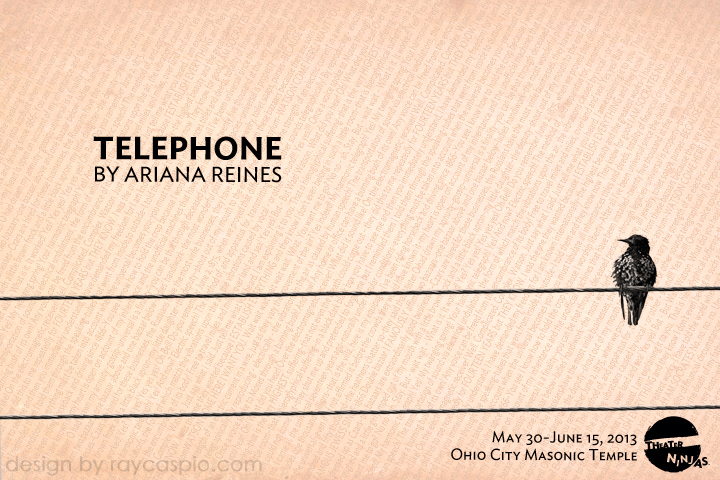 This unique performance is taking place in the historic Ohio City Masonic Temple. More adventurous patrons have the option of purchasing a “Master Apprentice” ticket. This ticket includes early admittance to the show and a chance to participate in an exclusive secret ritual. “Master Apprentice” tickets have limited availability and have to be reserved at least 24 hours before the event. 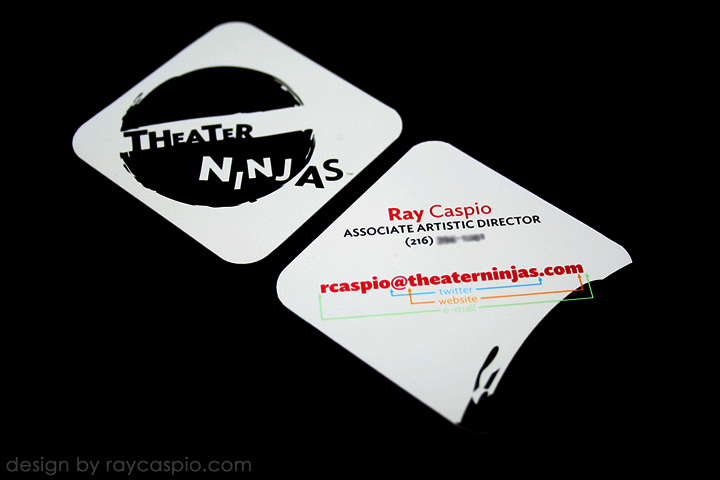 Theater Ninjas was founded in 2006 with the goal of creating out-of-the-ordinary theatrical experiences. Theater Ninjas’ 2012-13 season is generously funded by the citizens of Cuyahoga County through Cuyahoga Arts and Culture and through the Ohio Arts Council. Artistic Director Jeremy Paul is a recipient of the 2012 Creative Workforce Fellowship award, which has helped make this new season of work possible. 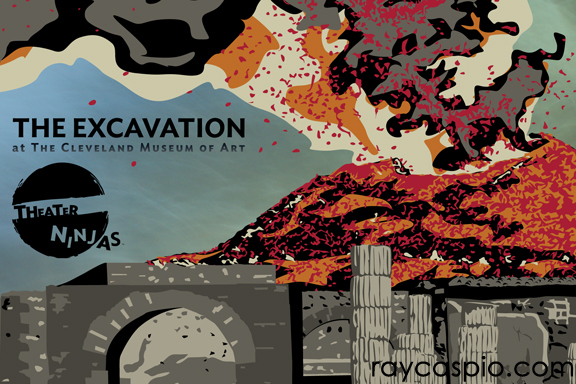 Saturday, September 10th, the great artist Erato from The Excavation was revived by Theater Ninjas in a new setting: Cleveland Public Theatre's Pandemonium! This time, Erato was accopanied by his assistant and familiar, Luigi (Ryan Lucas). Luigi helped Erato put THE Pan in Pandemonium! We had a blast doing our show and improv-ing for a solid two hours with the Pandemoaners! Cool Cleveland wrote a feature on Pandemonium, which shows a photo of me as Erato, and they also took video! Erato and Luigi begins at 55 seconds in. I love embodying him and would enjoy more opportunities to do so!